WASHINGTON -- Volkswagen brand dealers are bracing for another month of pain after seeing U.S. sales tumble 25 percent in November. The question now: When will it end? VW withstood the initial fallout of its diesel emissions scandal, holding sales flat in October, the first full month after revelations of its cheating. Dealers, too, seemed hopeful they'd be able to sell their way through the crisis with the help of emergency aid from the factory, help that earned VW of America CEO Michael Horn a standing ovation at VW's national dealer meeting. But as Volkswagen drifts into a third month of a seemingly unbound scandal, that tone is changing and dealer frustrations are bubbling to the surface. The absence of a ready-to-go fix, plus continuing inventory shortages and the prospect of more new-car sales pain, is stirring angst and even anger in VW's dealer network. "This thing isn't getting better with time," said Alan Brown, co-owner of two Hendrick Volkswagen dealerships in suburban Dallas and chairman of VW's dealer council. "We don't have a fix. We don't have a timeline." The unknown, he added, is "what makes the anxiety of this even worse." Undermining dealer faith is the drip-drip of confusing signals from Germany, none of them reassuring. Volkswagen's internal probe has yet to reveal details about the scandal's origins or who was involved. Meanwhile, the churn of German executives continues, with Ulrich Hackenberg leaving his post as Audi's chief engineer last week after his reported suspension in the scandal's wake. Stateside, VW is awaiting regulatory approval on its plan to get its diesels back into compliance -- a plan filed just hours before a California deadline on Nov. 20. In a statement to Automotive News, Horn said VW continues to cooperate with regulators and is working "as quickly as possible" to get a fix in place. Meanwhile, an information vacuum has put the value of affected VW diesels under a cloud of uncertainty. Competing brands' dealers won't accept the used TDIs on trade, and VW dealers feel pressure to absorb them at depressed prices to reflect their more than 15 percent price drop at auctions since the scandal. A VW offer to repurchase used TDIs from dealers at guaranteed pre-crisis prices turned out to be a one-time program for vehicles in stock as of Oct. 22, and customers looking to unload their TDIs now are seeing offers that leave them "very frustrated," Brown said. "It's scaring [dealers] because we don't know how long we're going to sit on the cars," Brown said. Meanwhile, low inventories of salable gasoline vehicles could continue to hamper sales. Fred Emich, general manager of Emich Volkswagen in Denver, says he began December with just two Tiguan crossovers among his vehicles in stock, though he has more than 40 on the way. Overall, inventories are slightly better than last month, when limited product drove away deals despite showroom traffic being on a par with October, he said. "You're selling from empty shelves," Emich said. Steve Kalafer, owner of the 17-franchise Flemington Car & Truck Country, says his VW store in Flemington, N.J., has fewer than 50 salable new VWs in stock, compared with the more than 100 he would normally stock ahead of the year-end sales push. His December sales prospects look "bleak," he said. "We would be hopeful that Volkswagen would ship these cars on overtime," Kalafer said, but during the holiday season, "the auto business from the manufacturer side basically shuts down." VW's 25 percent November decline was the steepest for the VW brand since the start of the Great Recession. One reason for the falloff: VW scaled back the hefty incentives that fueled October demand. 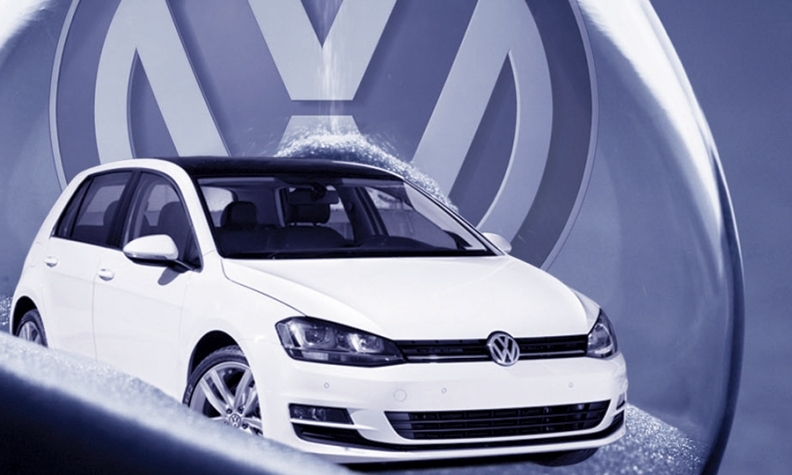 The $2,000 cash bonus for returning VW owners in October has been reduced to $1,000 to $1,500 depending on the model. Emich says he hasn't sold any 2016 Passats since his shipments of the re-engineered car began arriving last month. "The 2016 Passat, unfortunately, is missing some incentives," Emich said. "It's essentially a face-lifted car that they're treating like a redesigned or new model." Horn urged patience. "In October, Volkswagen presented plans for continued dealer support at the national dealer meeting," he said in his statement. "We remain committed to supporting our dealers." Brown, the dealer council chairman, said that to keep and attract customers, Horn should demand enough money from VW headquarters in Germany to offer new-car deals that are the best in the industry. "We cannot be arrogant and higher priced," he said. Kalafer says VW is already being "crossed off the list" by customers who no longer trust the company. "Volkswagen of America has their head in the sand," Kalafer said. "It's not just going to be another incentive or another bonus that gets Volkswagen out of this. It's going to be the dealers who get Volkswagen out of this. The reputation of Volkswagen is spiraling towards worthlessness."